One of the biggest concerns when thinking of a hair transplant is the quality of hair growth. How much will grow, and will it look natural. Removing the hair follicles from the donor area is the first stage, and where transection or damage can occur. FUE is a blind technique in terms of extraction as it is impossible to see under the skin which direction the hair follicle is growing. If the graft is split or transected it will damage the quality of the hairs and reduce the amount the survive and regrow later. If the grafts are transected in the donor area this will compromise the quality of the remaining hairs, potentially cause miniaturisation and thinning of the remaining hairs and can make the donor area look patchy and thin. If transected grafts or split grafts are placed in the recipient it can affect the overall result, transected will not grow and if too many are divided it will affect the distribution of hair in key areas to recreate the density required. There are a few steps to ensure the minimum change occurs to the follicular units along the process of the hair transplant procedure. Pure FUE with Dr. Fotis Gkaragkounis minimises any risk of damaging the hair follicles due to his protocols fir graft care. 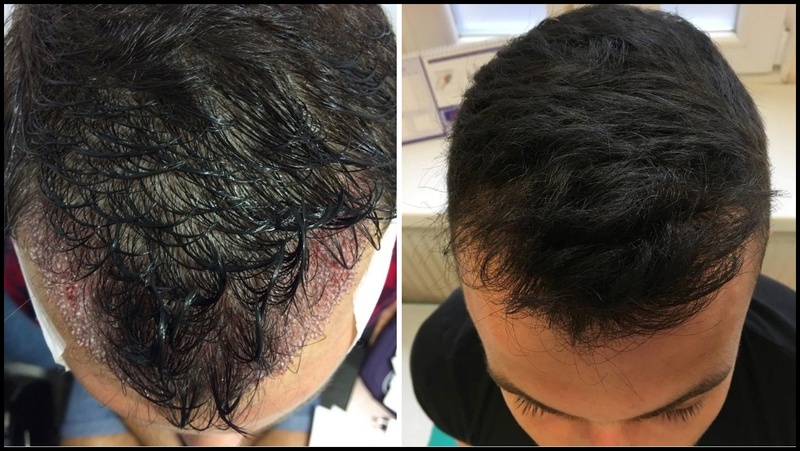 “With a manual FUE extraction protocol care can be taken to feel the direction and depth of the hair follicles under the skin, this reduces any risk of damage to the hair at the first step of the hair transplant process.” Said Dr. Fotis Gkaragkounis. Graft care continues with the care and examination under magnification and then with the placement of the hairs into the hairline and behind. Carefully matching the natural angles and direction and taking care not to damage any of the surrounding hair. Dr. Fotis Gkaragkounis has been performing surgical hair restoration for almost a decade at the highest level, he has developed his Pure FUE technique from the essential basis FUE was founded on.